The IPL will be a boon, not bane, for India's World Cup-bound players, VVS Laxman believed Friday amid a raging debate around players' workload management programme. 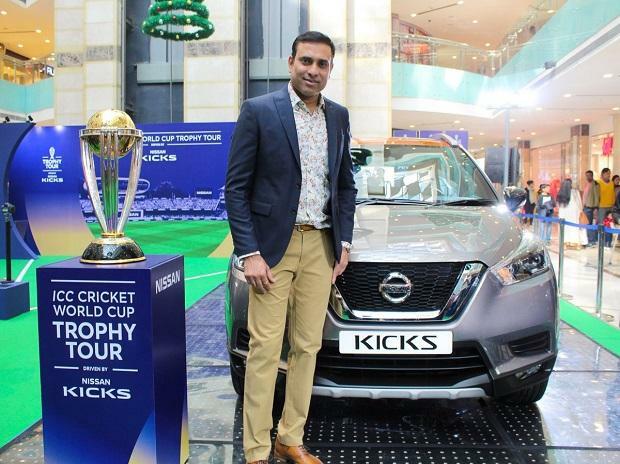 "I think all of them are professional players and playing a tournament like the IPL will help them to be in good rhythm when they go to the World Cup," Laxman said. "But they have to be very sensible and smart. The workload management, as it is, is a focus of the franchise because it's a long tournament where there is a lot of travel." With the Indian Premier League, which begins Saturday, culminating days before the World Cup, there has been a lot of talk around managing the workload of the players during the next two months. Laxman said, "World Cup is something which we all are looking forward to and we want the Indian team to go out there and win the World Cup. I am sure all the players will be smart enough. Playing the IPL will be an advantage as they play against top quality opposition. You are playing with some quality players." Team mentor Laxman said Sunrisers Hyderabad are excited to have David Warner back in the side. Warner and Steve Smith were handed year-long bans from state and International cricket for the ball-tampering scandal in Cape Town Test last year. "David Warner is really looking positive going into this season. It was unfortunate what happened at Cape Town last year and I am sure he is looking forward to contributing to Sunrisers," Laxman said after their practice session at the Eden Gardens. Warner led SRH to the IPL title in 2016 and, in the next season, he was the leading run-getter. "He has been an exceptional player for us, exceptional captain as well, a premier batsman for us and I am sure he will look forward to scoring heavily this season as well and win matches, and hopefully, the tournament for Sunrisers," Laxman said. The left-handed opener was forced to pull out of the Bangladesh Premier League in January with elbow an injury but hit a century on his return from surgery for his Sydney club side, Randy Petes, in a one-day game against Penrith that they lost. "He is totally fit and raring to go. He has really worked hard on his fitness and also what really amazed me was the kind of rhythm he showed from the first practice session. "We also played a couple of practice matches in Hyderabad and he scored in both those matches and was in fantastic rhythm and that is really pleasing for all of us." Laxman also spoke highly of Wriddhiman Saha who will also return from a long injury layoff after undergoing a surgery on his right shoulder. "It was great to see Saha back. He has really worked hard on his fitness and he too showed good rhythm in the practice matches, coming with good performances in the Syed Mushtaq Ali." Saha played with a broken thumb in their Qualifier 2 of the last IPL that they won by 14 runs before going down to Chennai Super Kings in the final. "I was impressed with the way Saha played with a broken finger that is the character Saha has and that is the character we encourage in the Sunrisers team because you want players who are committed to the team, to the game. "And Saha is one the most committed players I have seen in my career," he said.